GC BW Clowntown’s Red Alert’s Son. At stud to approved Queens. She carries his longhair gene, which is not in the Balinese LH gene pool. 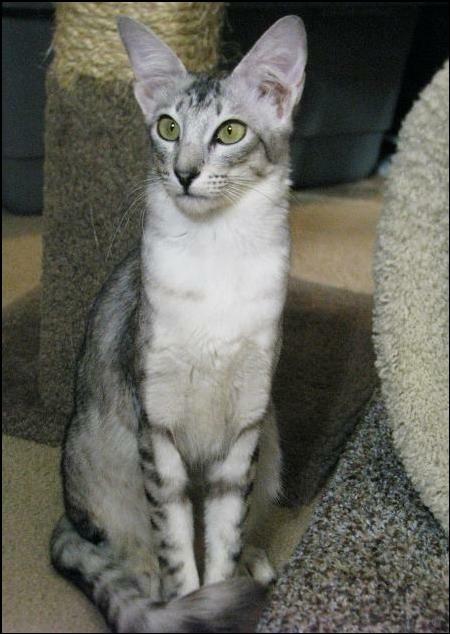 Ebony Silver Mackerel Tabby OLH. 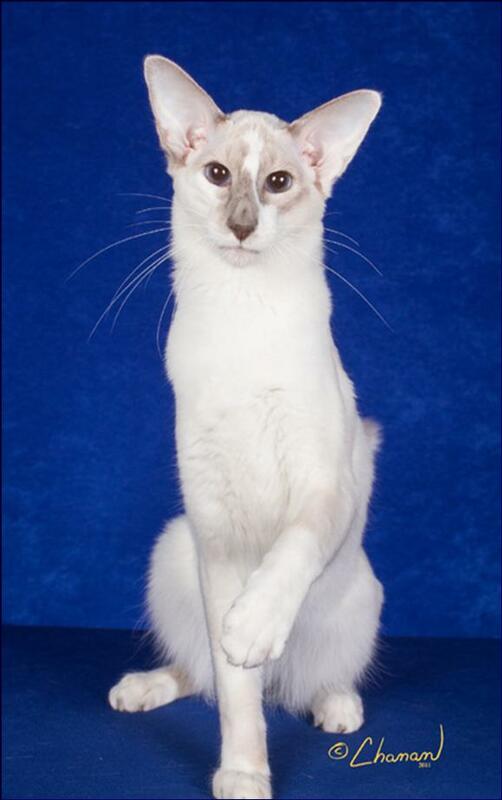 Orientals are Siamese without points. They are the same type of body and come in over 300 color combinations, patterns and hair lengths. 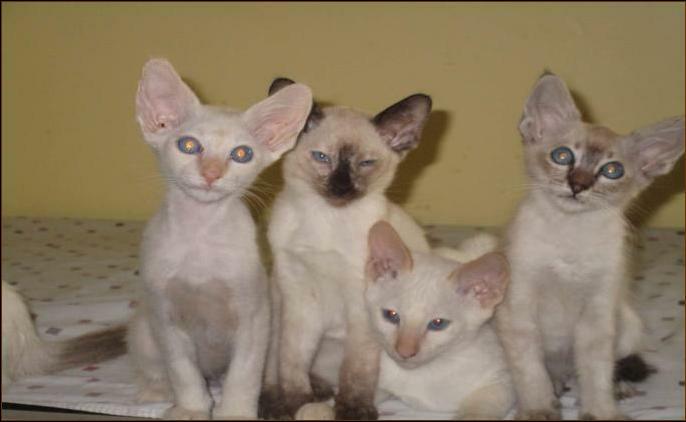 They have a much larger gene pool than any of the other of the Siamese groups. Because of this fact alone the Orientals can be healthier and stronger genetically . Clowntown has brought in the Orientals to be used with the Balinese and Javanese programs. CH. 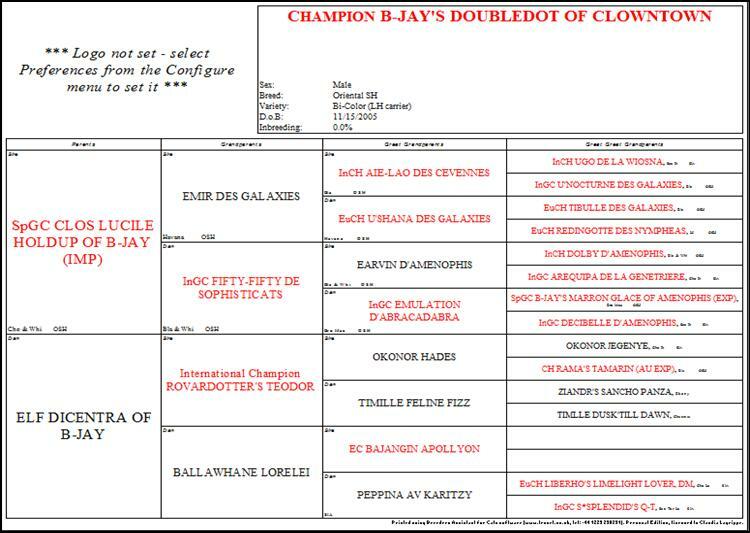 B-Jay's DoubleDot of Clowntown has an excellent outcross pedigree, with his sire from France and dam from Russia we get kittens with zero inbreeding coefficients including the longhair gene he carries. 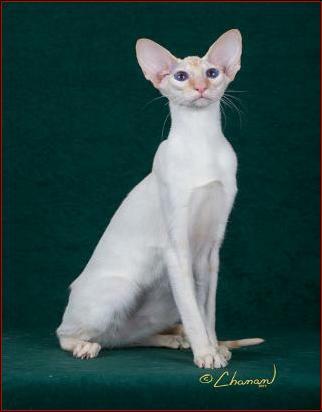 So when DoubleDot produces a longhair cat it is a 0% inbreeding coefficient as well. 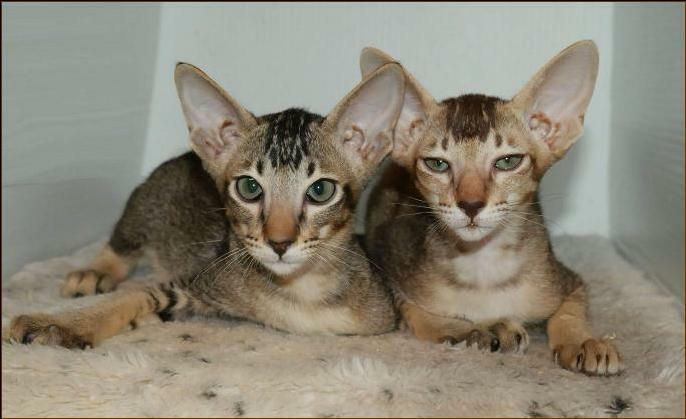 This is a major step in providing health and longevity to the cats. 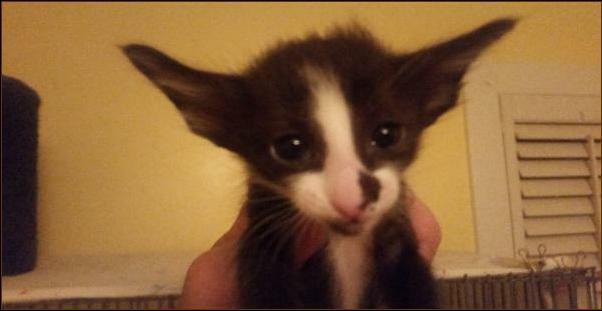 Clowntown has Orientals in both Longhair and Shorthair available most of the time.